If you ever feel worried about your privacy after searching for someone or something on Facebook, you can always clear your search history. 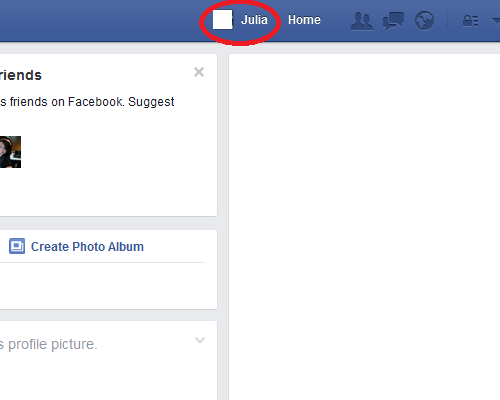 When you're on any page on Facebook, open your profile appearance by clicking your name at the top bar. If you don't have any idea which one to open your profile, look at the picture below. Click on your name on the top bar to visit your own profile appearance. After clicking your name at the top bar, you will be directed onto your own profile appearance. 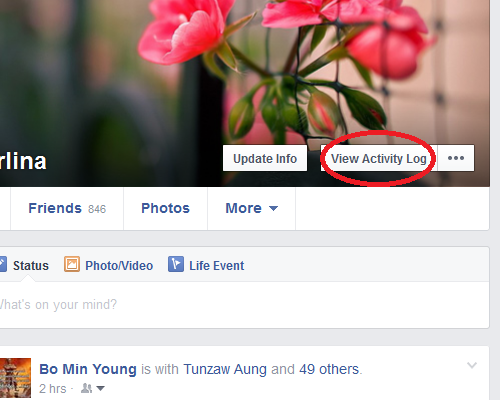 While you're on it, click "View Activity Log". 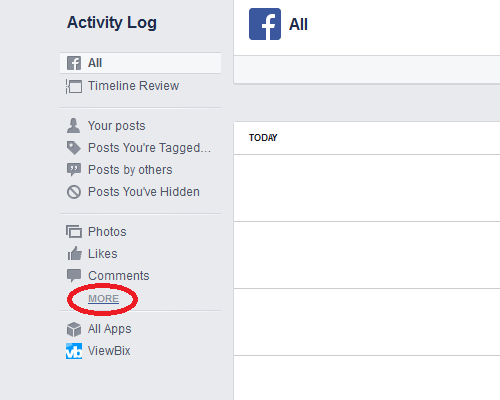 Click "View Activity Log" to reveal every activities you have done on Facebook. While you're on activity page, look at the left panel menu, you will see a list of Facebook features, click "more" to reveal more Facebook features. Click more to reveal more choices of Facebook features. After it is revealed, you will see "Search" between those features, click on "Search". 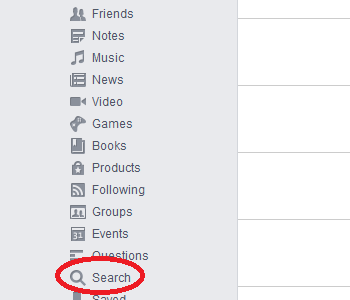 Then, your list of search history on Facebook will appear, look at the top of the history and click "Clear Searches". 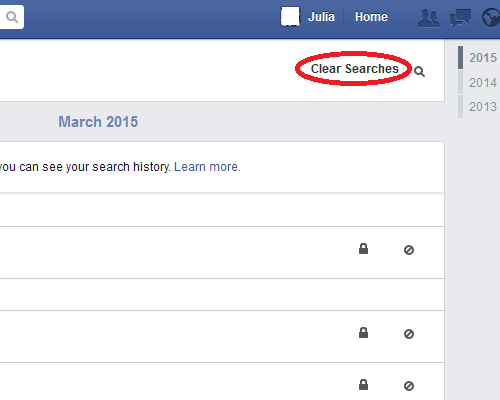 Click on "Clear Searches" to clear everything you have searched on Facebook. 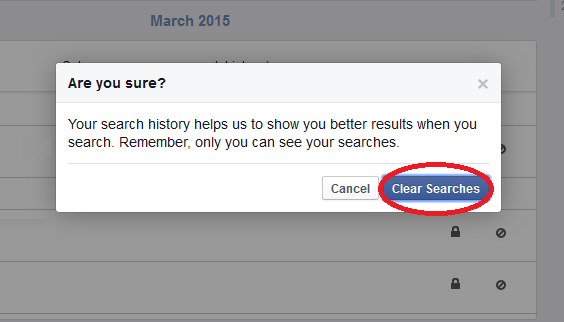 A popup like in the picture below will appear as a confirmation whether you want to delete search history, click "Clear Searches" to really remove everything you have searched on Facebook. Click "Clear Searches" button to clear your search history. Comment below if you're lost. Good luck! No response yet to "Mind Your Privacy, Clear Facebook Search History"